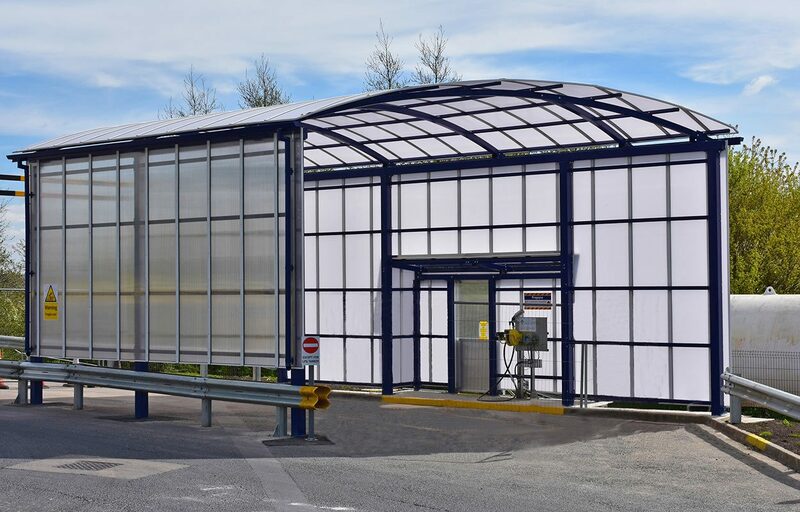 Fordingbridge recently designed and installed an LPG refuelling station canopy for the UK’s leading manufacturer of interior lining systems. The 10m long by 6m span barrel vault canopy shelters vehicles and staff while refuelling their fleet. The polyester powder coated steel frame was galvanised and painted, to increase durability and longevity. Due to the exposed nature of the site, protection was required from wind, rain and dust particles to ensure safe fuelling and prevention of contamination of the vehicles’ fuel tanks. 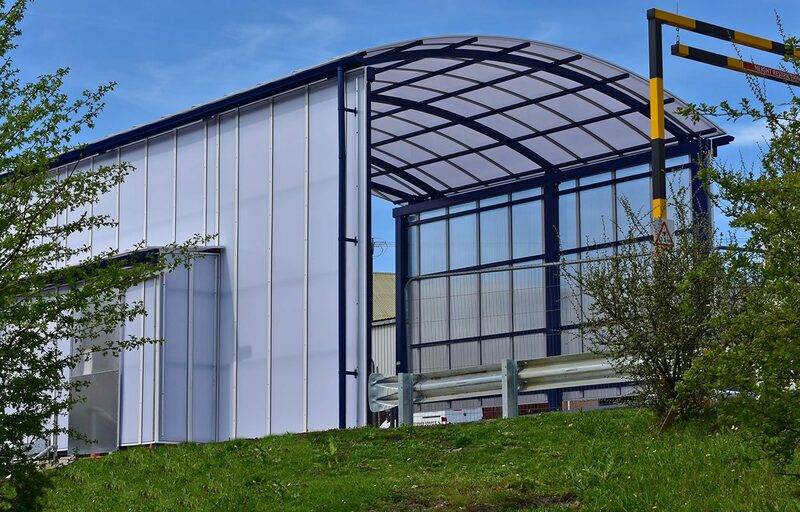 Roof and side cladding using triple wall polycarbonate in both Opal and Clear finishes, created this protection. Fordingbridge takes pride in complying with all H&S legislation and practice. This was perfect for working with this client who also have to maintain extremely stringent H&S compliance due to the nature of their site. 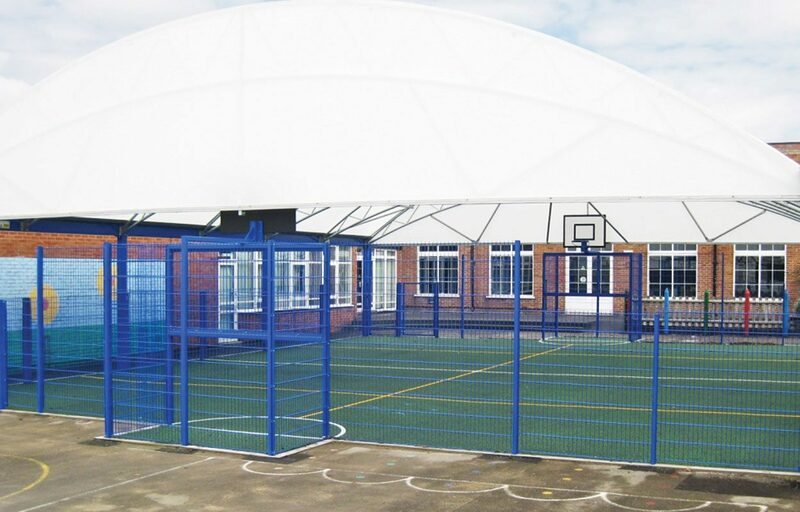 Fordingbridge installed the canopy in four days on a live site without disruption to the client. Multi-use games area offers year round sport. 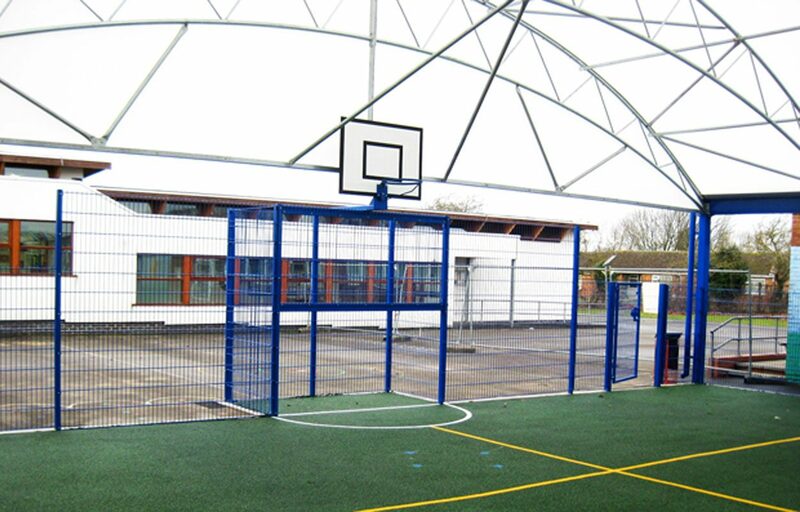 Fordingbridge designed and built this steel tapered trellis structure covering 224m² for Grange Primary School. 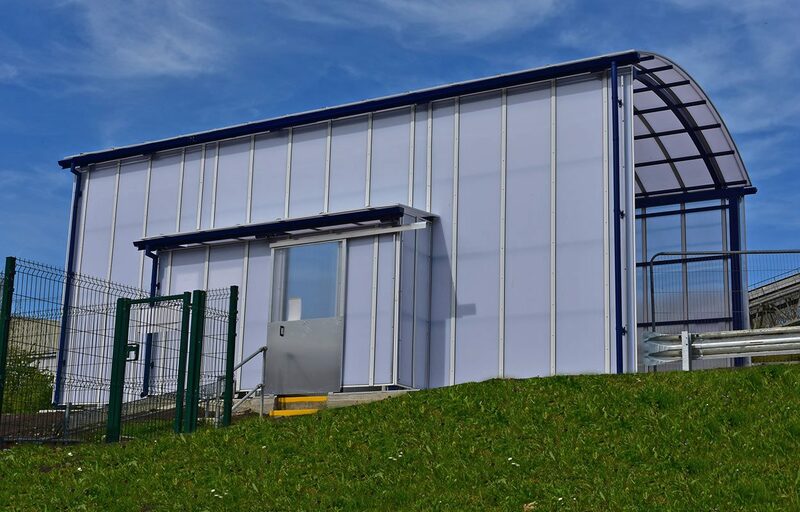 Multi-use games areas, or MUGAs, are becoming increasingly popular with schools, clubs and leisure centres; offering a cost-effective solution to building all-weather sports surfaces so you can offer all year round sport.